The Psychic Clairs: Which Do You Have? 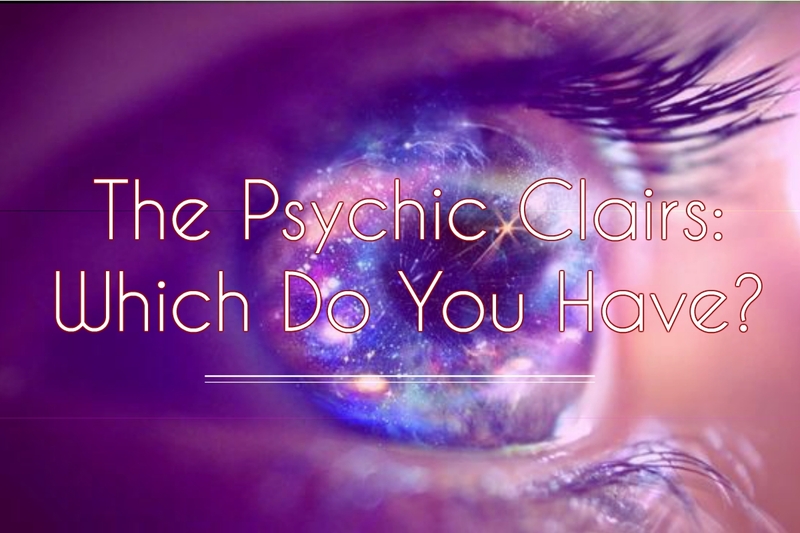 The Psychic Clairs: Which Do You Have? We often hear of the four clairs in the spiritual world. The most common is clairvoyance, which is the ability to see beyond the scope of human reason. It allows us to see things that only one connected with Spirit can see. It’s the ability to see the mysteries that perhaps some people would question because they cannot tap into the spiritual realm as easily as the psychically gifted people can. Usually, clairvoyance is experienced in metaphorical pictures or visions that are interpreted from the reader to the person being read. However, I would dare say that there are more than “four clairs”. The most talked about are clairvoyance (seeing), clairsentience (feeling), clairaudience (hearing) and claircognizance (knowing). Yet, there are a few others that seem to be neglected: clairscent (smelling), clairgustance (tasting), clairempathy (emotions) and clairtangency (touching). In essence, there are eight (8) abilities that warrant further explanation of what they are and how one can develop their gift. Clairvoyance is literally translated to mean clear seeing. This is where visions or pictures are received and experienced in the third eye. It’s like watching clips of a movie. These pictures can give you insight into a situation. It can be a warning of something to come, a message of what step to take next in your life or simply a detail that shows what happened in the past. I think these pictures just give us a better idea of what goes on spiritually before it becomes physically manifested. Clairsentience is clear feeling. This is similar to clairempathy (clear emotions). These two clairs deal with the emotional aspect of a situation. They allow you to feel emotions of the people and situations involved. For example, if a loved one died and you’re trying to figure out if they went in peace, a person with clairsentience or clairempathy may be able to feel whether or not the loved one died peacefully. They can feel the anguish, pain, sadness, melancholy or joy of a situation. Clairaudience is the ability to hear things. In readings, some readers are able to repeat actual sentences that have been said, entries that were written in diaries/journals, phrases loved ones have said. They may even hear the thoughts of those around them. There have been times when someone has been thinking something and I’ve thought they said it out loud and answered them only to find out they never said it out loud! Clairscent is when you smell things that aren’t in the room. Sometimes you can smell the fragrance of someone that you know but isn’t there physically. Other times you may smell i or something cooking. There are times if witchcraft is an issue in a situation, you may smell something rotten in the air indicating that something in that situation isn’t right. Clairgustance allows you to taste things without them actually being in your mouth. I would say that this sense of taste may also be metaphoric. For example, if you’re reading about a breakup and you suddenly get a bitter taste in your mouth, maybe one of the parties involved is feeling bitterness about the breakup. You may taste certain foods that indicate a loved one that passed on is in the room. Clairtangency is the ability to touch. Perhaps you’re reading someone that wants to know about someone. You may physically be able to touch the other person’s hair, an item they have, a piece of clothing or fabric. You may also be able to perceive information just by touching the person you’re reading. Claircognizance is just knowing. This is the one that is kind of mindblowing. When you have claircognizance you automatically know information without “knowing”. You will suddenly know things about someone or something that you’ve never been a part of. Nobody tells you this information, you don’t have the other more tangible senses to assist you but you just know about something. We all know we have some sort of psychic abilities. Most people mention it somehow. But how do you really know what clair you have? I would say that the first step is to go over each “psychic” moment you’ve ever experienced and review what you experienced commonly. Did you have a feeling? Did you see something or did you smell something?…etc. Once you’ve reviewed your experiences, see which one of the clairs mentioned is most prevalent. There may be just one or they may be a couple that always seem to linger in each experience. You may have one main clair and then others that assist to get a better picture of what the situation is. For instance, you may usually have clairvoyance but in this particular situation you also experience emotions and smells and clairaudience to better assist you in understanding in depth what’s going on. As a reader, a combination of the clairs usually partakes in each reading. The more in tune you become with your gifts and more the comfortable you are with them, the strong they are. Many have persecuted the gifted because of fears and ignorance to the spiritual world but I assure you that being comfortable with your abilities is the key. Acceptance is the first step. If you’ve always felt different; embrace it. You are probably a light to many people in dark places and your gifts will only assist them in coming to a better place in their lives. Those of us with these gifts have been called to a higher purpose than ourselves. We are destined to heal the world one person at a time and to be a light in the midst of darkness. Do you have one of these Clairs? How about one not mentioned here. If so comment below. I would love to see if we have that one in common. Hi, Thank you for visiting my site. Are you interested in a Free 11 Page Tarot PDF created by myself a ProfessionalTarot reader?Subscribe below ⇓ for your FREE download. 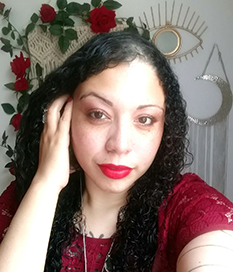 Tarot Readings Phone & Live Video Chat also available. Hi Emilie i believe i have Claircognizance. I am called a know it all for this gift. I always thought it was because I was a leo the lion but somethings I cant explain to people. It gets annoying in my relationships tho lol. But it sure helps. Im also an empathy and feel emotions deeply. But i dont believe its a Clairempathy for me. My main one is Empathy. I feel others emotions strongly.